When we moved to the farm five years ago, we didn't know how much our lives would change. We knew we wanted to get back to a simpler life, and we knew that it would be a lot of work growing our food and tending to animals. There were still are few challenges that we didn't anticipate. We had always had city water. We were thrilled to have a well and thus eliminate one bill. With the well comes the responsibility of using less water. We have three wells on the property, but the expensive of hooking up another well will be high, so we are trying to conserve water when we can. Since we are in the middle of nowhere, we don't have natural gas. Instead, we have propane tank in our backyard. Propane is very expensive compared to natural gas, and we have to budget ourselves to get a refill because it's a fairly big expense. We live within a few miles of a small town that produces its own power. Since they are a small company servicing only a few thousand homes, their prices are higher than large electric companies. I love where we live; it's a beautiful piece of property. We live a simpler life that I enjoy, despite our energy and water challenges. I got a new washer and dryer the year we got married. Neither one was energy efficient by today's standards, and the washer used a lot of water. Although I knew we could save energy, water, and money with a new set, but I'm a firm believer in buying quality items and using them until they die. Last year, they both died within a month of each other. To be honest, I wasn't too upset. I got 16 years out of my washer and dryer, and I was eager to upgrade to a more efficient pair. One feature that I really like on my new washer is that I can adjust the temperature to one of five different settings. I wash almost all of my clothes on cold to conserve propane. The new washer also has a quick wash cycle, which is great. This cycle has saved me several times when I'm in a hurry and need clothes washed quickly. The quick wash cycle isn't just convenient; it also helps reduce my energy costs. Using a quick, cold cycle can use up to 80 percent less energy! It also reduces greenhouse gas emissions by up to 40 percent. We live on a farm. There's a lot of dirt and mud, goats, and a few ponds. Between grease from the tractor on my husband and dirt on the kids from their chores or playing outside, we make some dirty clothes. I was worried about my clothes getting clean when I used the quick cycle with cold water, so I switched to Tide PODS. 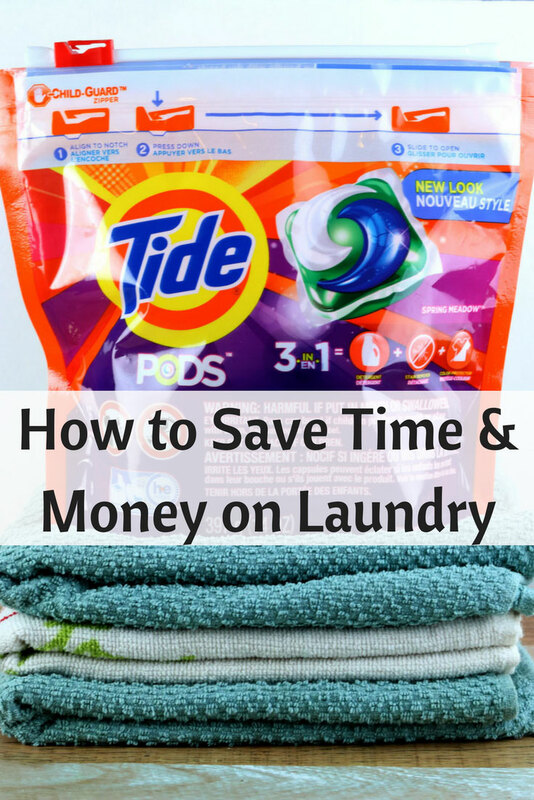 Tide PODS have 10 times the cleaning power in a quick and cold cycle versus the leading bargain liquid detergent brand. Most of you won't have to worry about conserving propane, high energy costs, or conserving water due to a well, but it's still smart to conserve water and energy. I do about 7 loads of laundry per week, so I'm saving quite a bit of time and money by washing with the quick cycle with cold water. I'm also helping the environment by using less natural resources. Will you join me in the #QuickColdPledge to help reduce your environmental impact? You'll help the earth, and you'll help your monthly budget with lower energy costs. Pick up Tide PODS at Walmart to help get your clothes cleaner. My laundry energy savings don't stop with my washing machine. I use my solar dryer, also known as a clothesline, when I can. It's more work to hang up my clothes, but there's just something about clothes that were dried in the sunshine. Nothing compares to that smell! Are you ready to start saving? 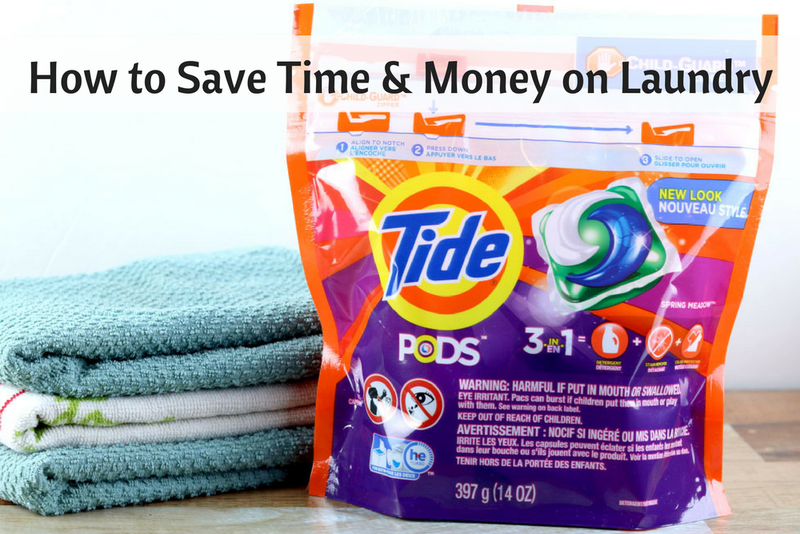 Start saving right away with a P&G brandSAVER® coupon for Tide PODS at Walmart at pgeveryday.com.